The spiritual journey takes unexpected turns for the women of Sensible Shoes in this third book of the series, continuing on from the events of Two Steps Forward. Having been challenged to persevere in hope, can they now embrace the joy of complete surrender? Mara: With two boys at home and a divorce on the way, can she let go of her resentment and bitterness and find a rhythm of grace in her "new normal"? Hannah: With Nathan by her side, can she let go of expectations—and even her reputation—as she charts a new course? Charissa: As her approaching due date threatens to collide with new professional opportunities, can she let go of her need for control and embrace the unknown future with trust? Meg: With disappointment over broken relationships and unfulfilled dreams, can she let go of her fear and worry in the face of even greater challenges that lie ahead? 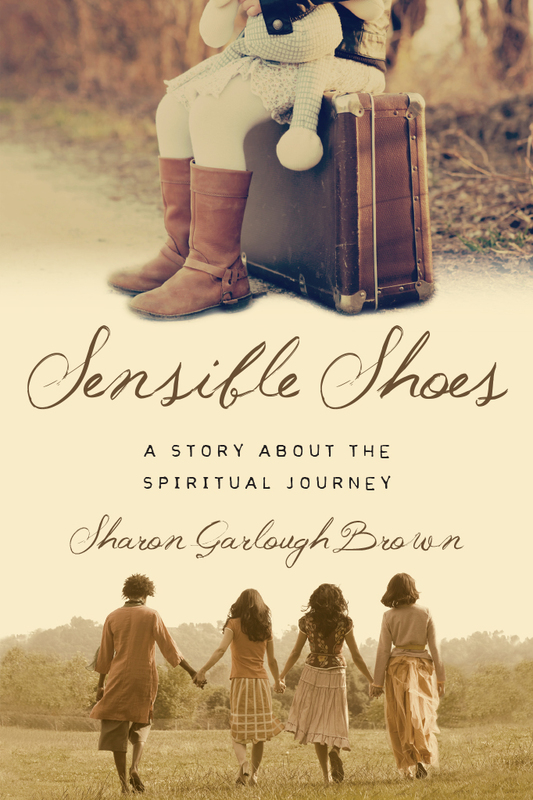 Join the women of the Sensible Shoes Club in a poignant story that reveals the joy that comes from laying our lives at the feet of God and standing barefoot on holy ground. "Sharon Garlough Brown may be a novelist, but she's also a portrait artist, painting with tender detail the souls of four women on a spiritual journey. This third installment is harrowing, lovely, joyous—like life, like faith. Beautifully rendered!" "How grateful I am to be reunited with Hannah, Meg, Mara, and Charissa, my friends in Sharon Garlough Brown's Sensible Shoes series. Having already journeyed with them through seasons of growth and change, I was eager to see what this third novel, Barefoot, would reveal. And what a tender story ensued as these women faced both serendipitous joy and heart-wrenching sorrow. The thread of being in a supportive prayer circle is powerful in each of these books, and the valuable spiritual exercises woven throughout help us to process as well. . . . Barefoot brings us gently to the place where we know the only adequate response is to take off our shoes and stand before God on holy ground." 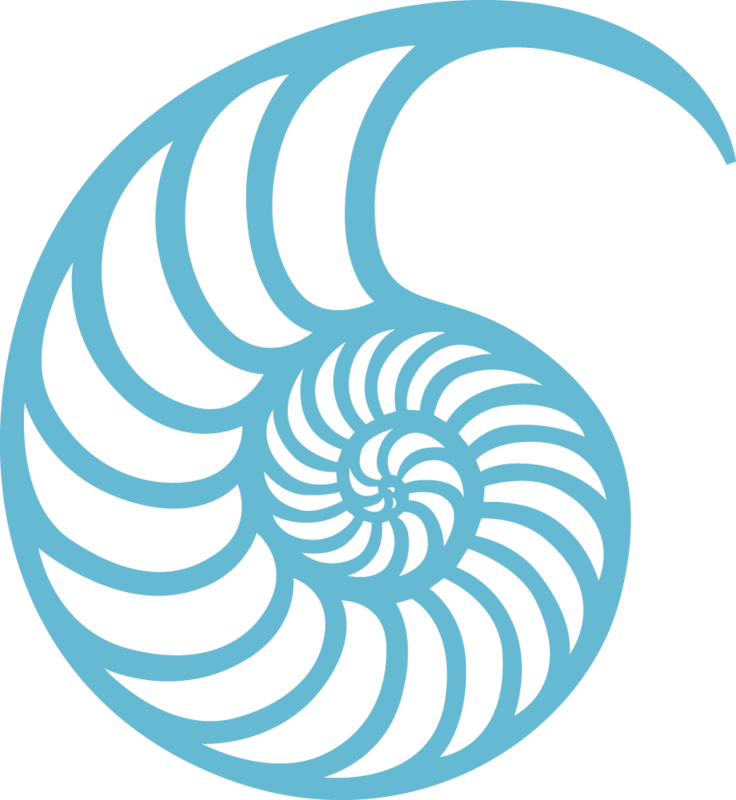 "Prepare to be encouraged, inspired, stretched, and wrung out by Barefoot. This enriching novel reveals God's transforming presence in the lives of four imperfect but beloved friends. Don't miss it." "During a difficult year of loss in my own life, I found great comfort in this fictional tale of four friends with true-to-life faith. The way they relate with Christ and one another in grief, disappointment, celebration, and joy served as a kind companion to me personally, as well as a creative reminder of some of my favorite spiritual practices." 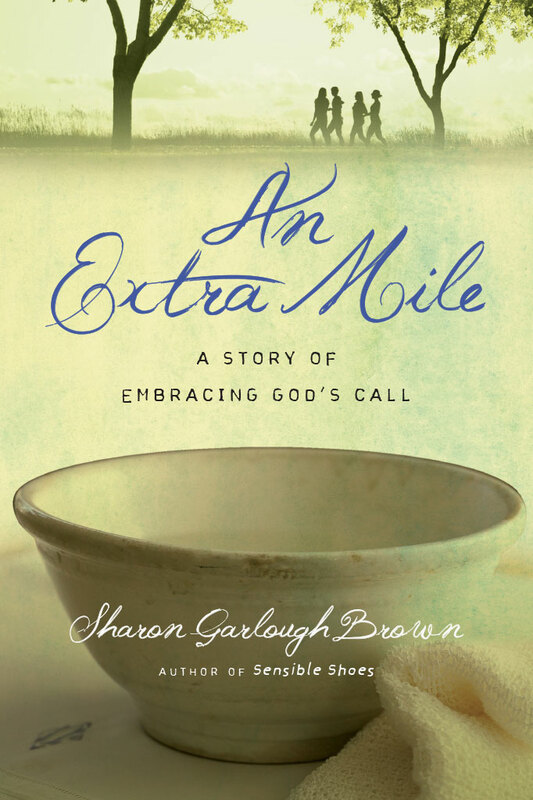 "Sharon Garlough Brown does not disappoint. That's because what undergirds all of her books is deep truth. One reads them and thinks, yes, that's how churches can be, or yes, that's what it's like to parent a twenty-something, or yes, that's a friendship that mirrors mine. But the deepest truth when we read her books is this one: yes, that's what a life of faith looks like—battered yet sustained, wounded yet deeply hopeful that God is up to something. These books resonate because they feel so true and because this is how we long to be: barefoot, surrendered, saying here I am to the One who guides our steps." 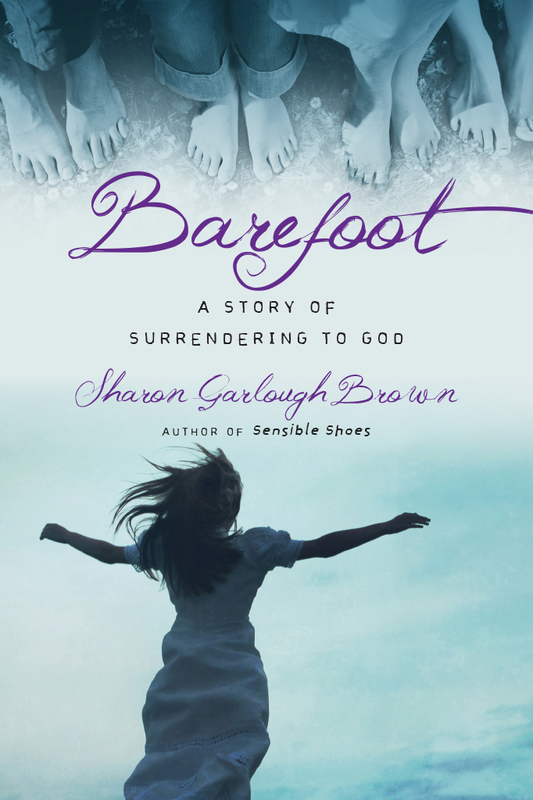 "Whether or not you've been a devoted reader of Sharon Garlough Brown's Sensible Shoes series, you will find yourself in the lives of the four women of Barefoot—in their gratitude and grief, their longings and resilient hopes. Most importantly, you'll meet Jesus, who startles us with this never-ending surprise: we are his beloved." "Poignant and achingly beautiful, each woman progresses in her walk and in community. Recommended for women who are passionate about seeking God. Insightful study guide included." 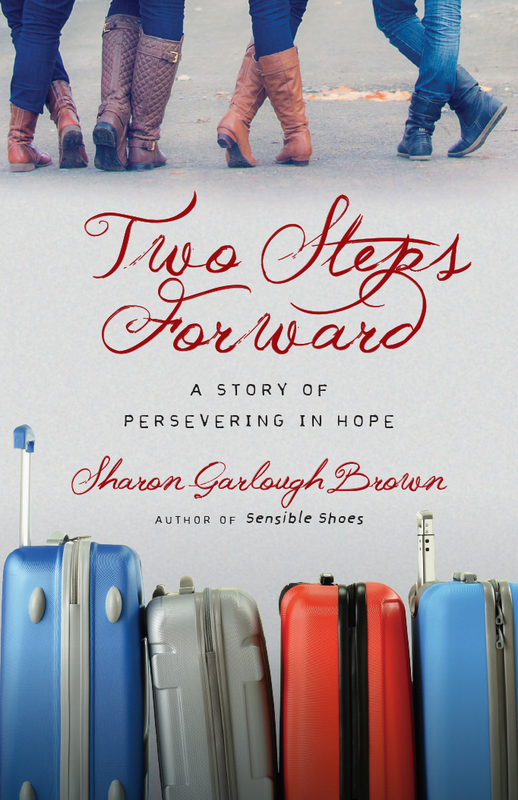 Sharon Garlough Brown loves hearing from her readers and responding to your questions about her writing process, the Sensible Shoes characters, and the inspiration behind her work. Click the button below to ask her a question, and she may respond to it in her Sensible Shoes News enewsletter. 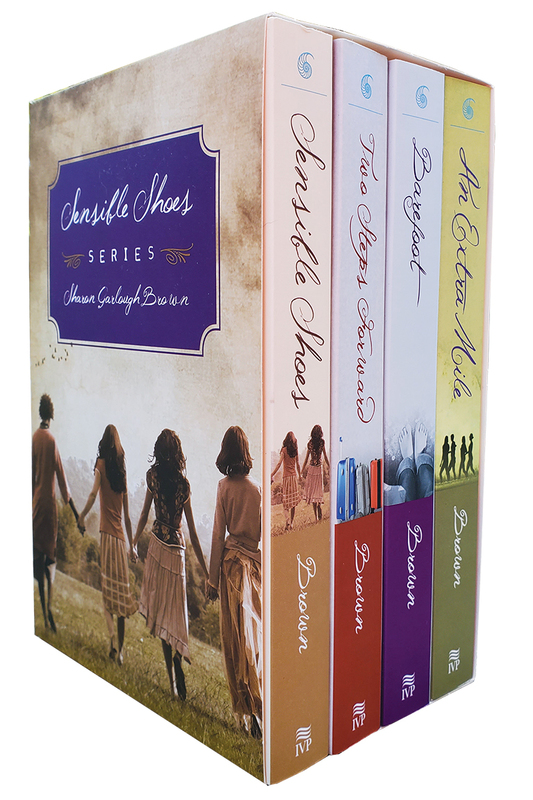 The Sensible Shoes Series is also available in a beautiful boxed set complete with all four volumes wrapped together. Sharon Garlough Brown is a spiritual director, speaker, and cofounder of Abiding Way Ministries, providing spiritual formation retreats and resources. 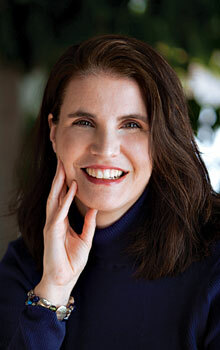 She is the author of the bestselling Sensible Shoes Series, which includes spiritual fiction novels Sensible Shoes, Two Steps Forward, Barefoot, An Extra Mile, and their study guides. A graduate of Princeton Theological Seminary, Sharon has served on the pastoral staff of congregations in Scotland, Oklahoma, England, and most recently in West Michigan, where she copastored with her husband, Jack, for many years. In March 2013 her book Sensible Shoes was named one of television personality Kathie Lee Gifford's "favorite things." 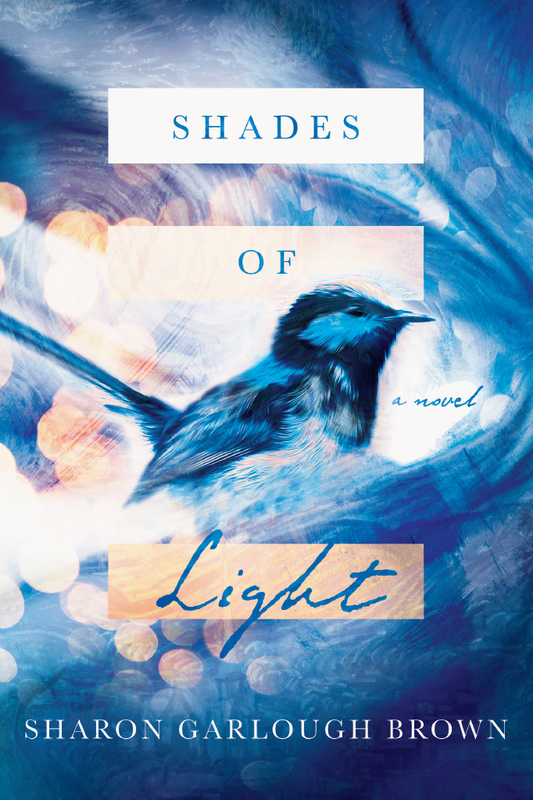 Sharon Garlough Brown loves hearing from her readers and responding to your questions about her writing process, the Sensible Shoes characters, and the inspiration behind her work. 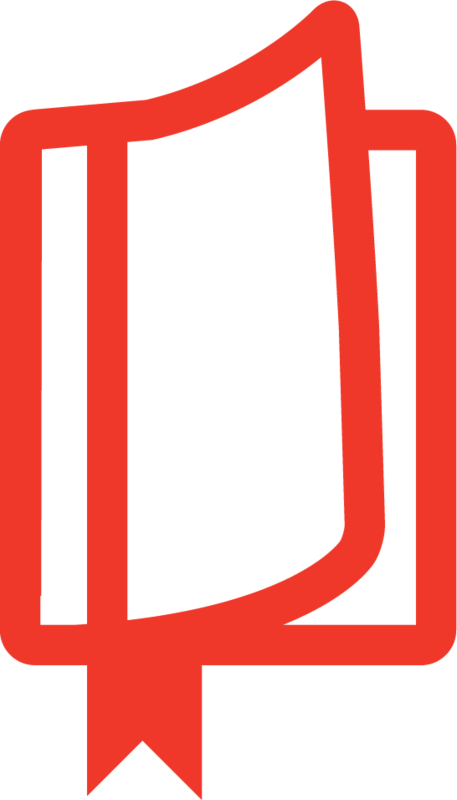 Click the button below to ask her a question, and she may respond to it in her Updates from Sharon Garlough Brown enewsletter.